Your pet is a member of your family. Like any family member, you want your pet to be safe at all times. Especially in your home. You don’t want to purchase products or schedule services that could harm your pet so naturally you might wonder if carpet cleaning is safe for pets. There are several Fort Wayne carpet cleaning companies and many methods for cleaning carpet. You will want to research the companies as well as their solutions and process to determine which one is the safest for your pet. There are carpet cleaning machines that use a lot of soaps and detergents to remove dirt. These machines also use a lot of water. This means your carpet will be wet for a long time after the cleaning and your pet won’t be able to enter the rooms that were cleaned. 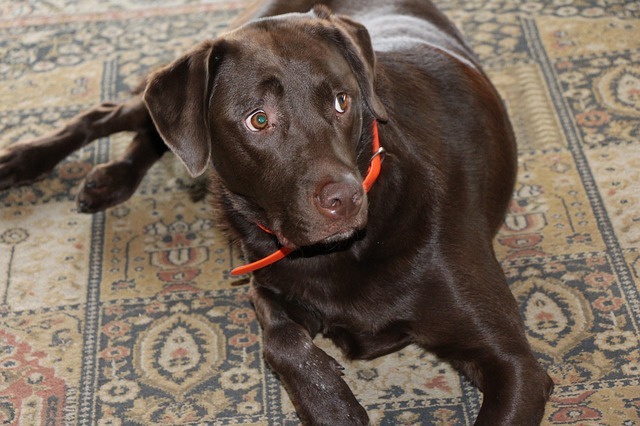 If your pet does walk on the wet carpet, their paws could come into contact with detergents or solutions left behind. Popular steam cleaning companies use an acid rinse for removing soap and water from carpet. You also don’t want your pet’s paws to come into the acid rinse from the carpet cleaner. 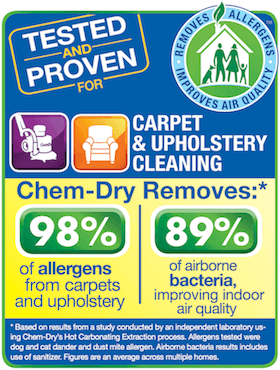 You can avoid all of the risks and hire Chem-Dry of Fort Wayne in Allen County, IN. Our carpet cleaning methods do not use any soap or chemicals and don’t need much water for successful results. We use a green cleaning solution for our service. It contains no chemicals and is 100% safe for people and for pets too. We also use carbonation and an extraction system that removes almost all of the moisture from carpet so that your carpet dries shortly after we leave and your pet can return to freely roaming your home without concern. Chem-Dry of Fort Wayne also offers P.U.R.T.®, a pet urine odor removal treatment to eliminate pet urine odors in carpet and upholstery. You will be amazed by the results you see from P.U.R.T.®.